Art! That was the theme of the day-art. While the second big event of the day loosely ties in with this category, my morning definitely was not out of place. Prior to leaving for Amsterdam, my awesome friend Katie was not so subtly telling me to go to the famous Rijksmuseum. As such, I owed it to all parties to check it out, and boy was it worth it! 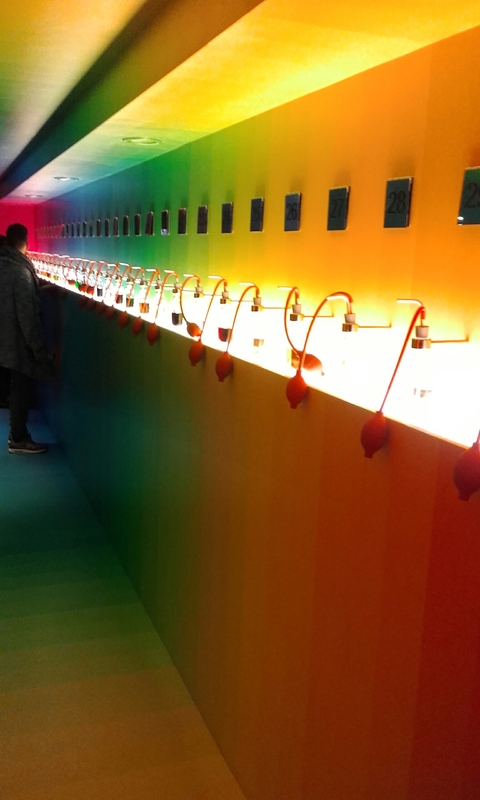 I admittedly hadn’t done an exceptional amount of research about the exhibitions, so I was pleasantly surprised to find out that there were different eras of Dutch art focused. The first floor was dedicated more to pottery and other artistic relics (i.e. shields and sigils of important houses), but they definitely were cool to admire. From there, I was able to see a variety of paintings , ranging from contemporary-ish (19th century, to be exact) to 16th century Low Country art. Despite having been to a fair number of art galleries before, it still boggled my mind to see how fantastically talented those painters were! Ultimately, while my capability to pay close attention to each and every work progressively diminished, I came away with a renewed faith in the paintings and works produced by some of the finest artists in Europe. After that, I spent about an hour wandering around and exploring the museum neighborhood. In a matter of coincidence, I ran into my co-worker and her husband whilst leaving. Small world eh? We agreed that the immediate vicinity of the museums offered plenty of charm, thus we took our time when walking. Bottom line was that the post-Rijksmuseum time was spent on leisurely walking and relaxing. 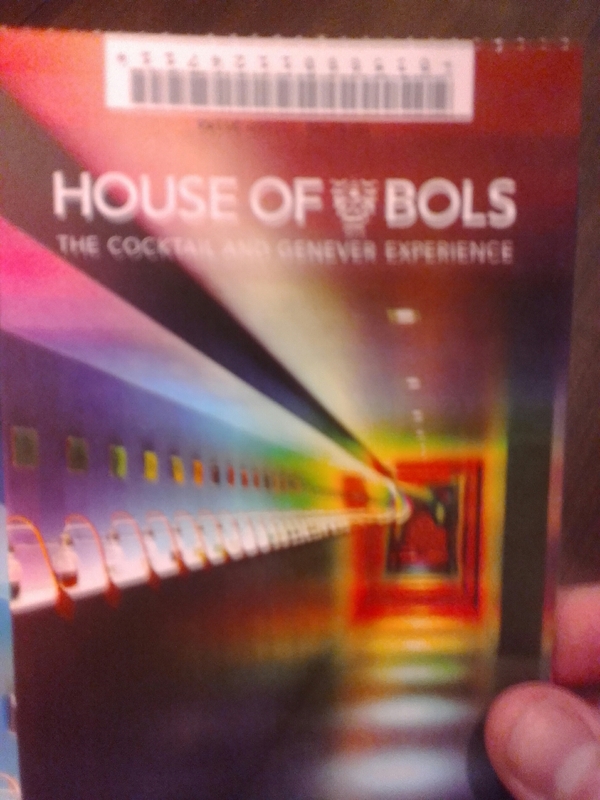 After spending some time nursing my sore back, I went out for the last time for the day, this time at the House of Bols. 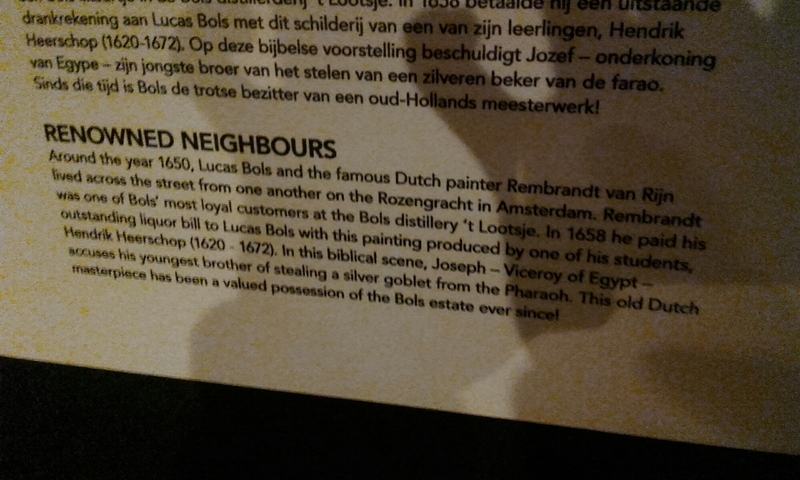 This place, situated directly across from the Van Gogh museum, has been in Amsterdam serving cocktails since 1575. One ticket to it entailed a free tasting and shot of liqueur, so it was pretty much the same as most brewery/alcohol-related tours. 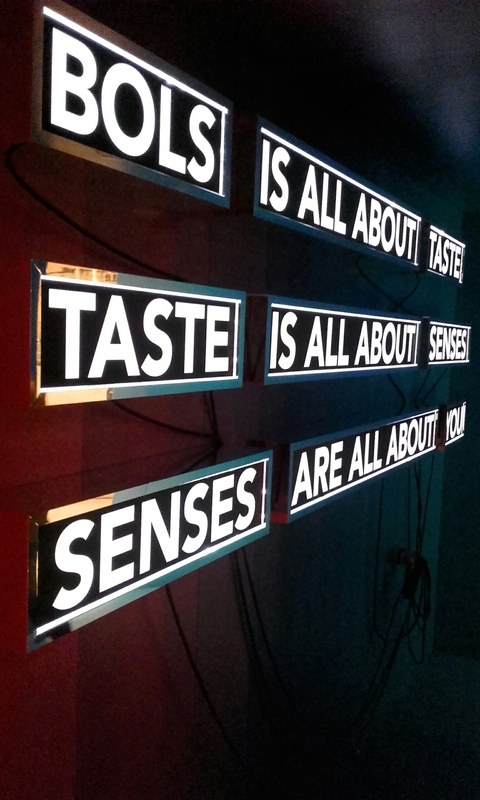 However, there were two special aspects about this: you got to sample all their flavors in an exhibition designed to stimulate your senses, and you got to design your very own cocktail! What this comprised of was saying what type of cocktail you preferred (fruity, strong, tasty, and complexity of ingredients), then taking your slip to the bartenders who then made it for you. I’m generally not the biggest fan of cocktails, but I must say that mine was amazing! 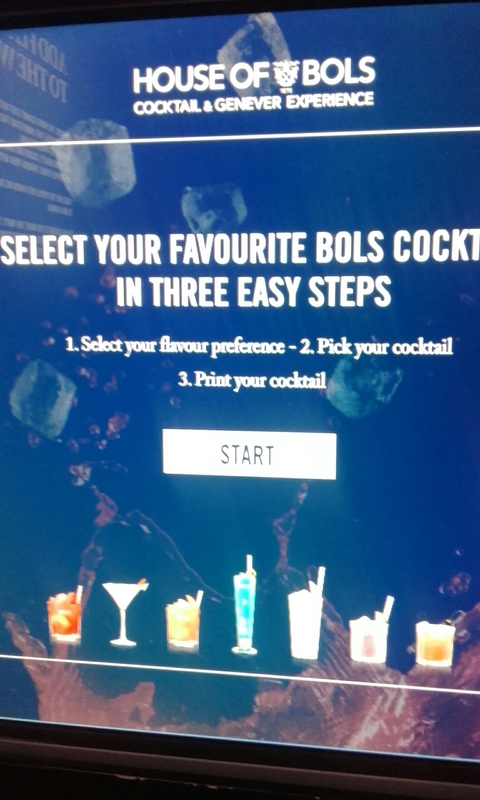 Hey, the Bols distillery knows what they’re doing after all these years. 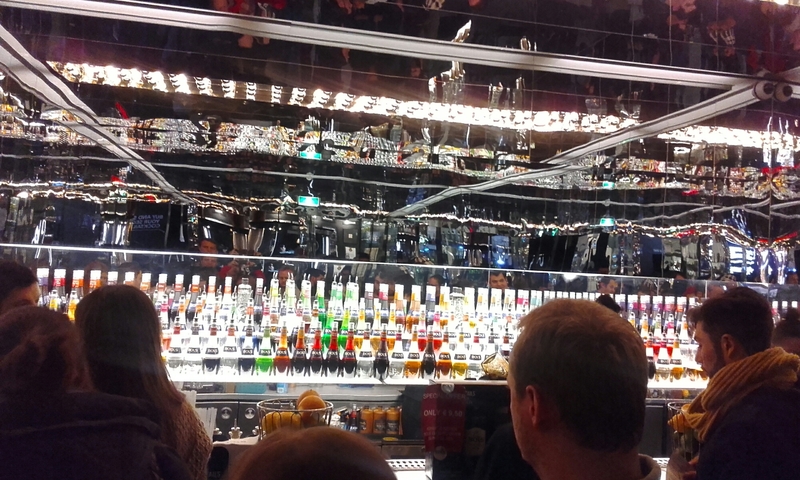 All in all, the day was a great way of getting acquainted with the culture, alcoholic and artsy, that lovely Amsterdam provides. Not a bad day!